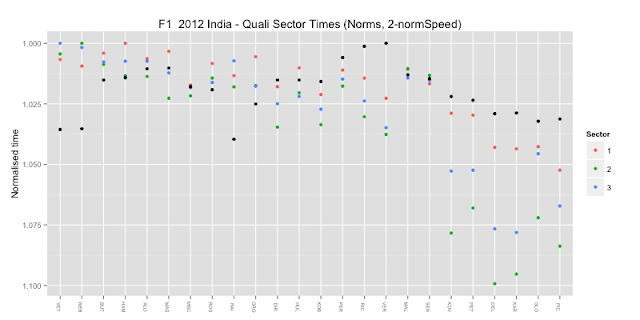 The next chart looks at normalised sector times - and the normalised speed - ordered by driver number; note how comparatively slow the Red Bulls are, and how the Ferraris seem to be a tad faster than the McLarens. 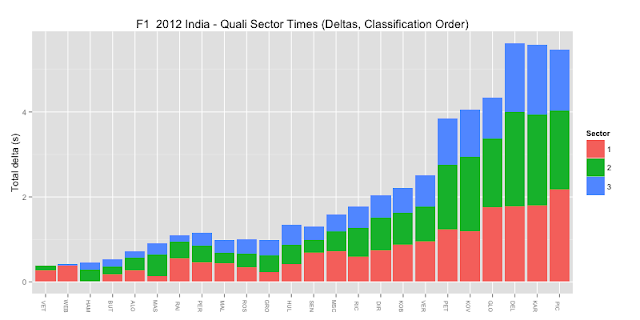 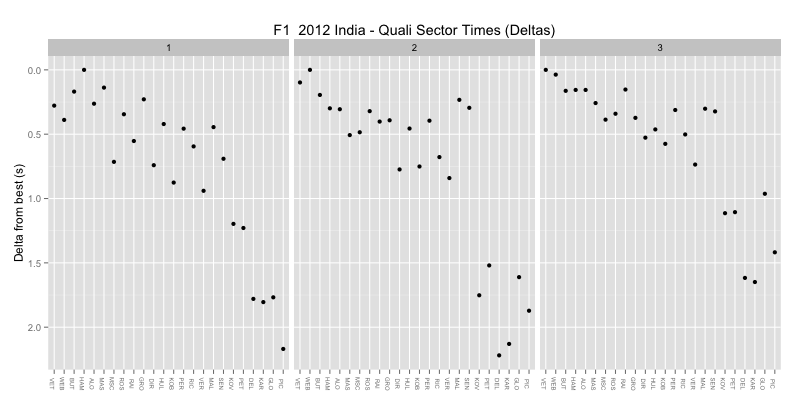 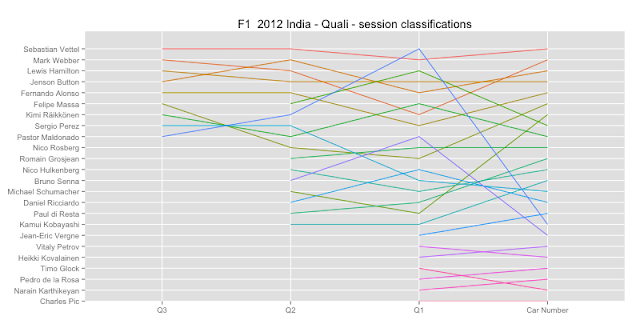 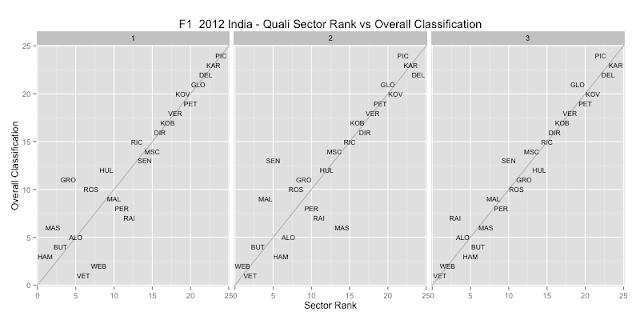 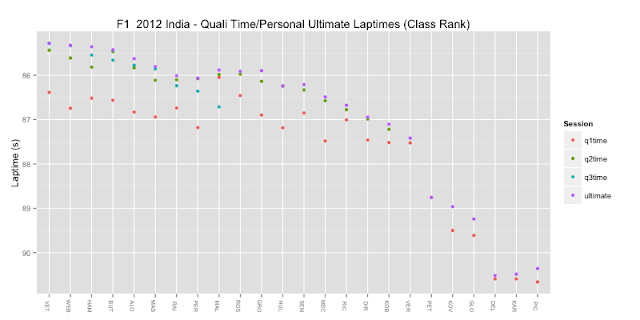 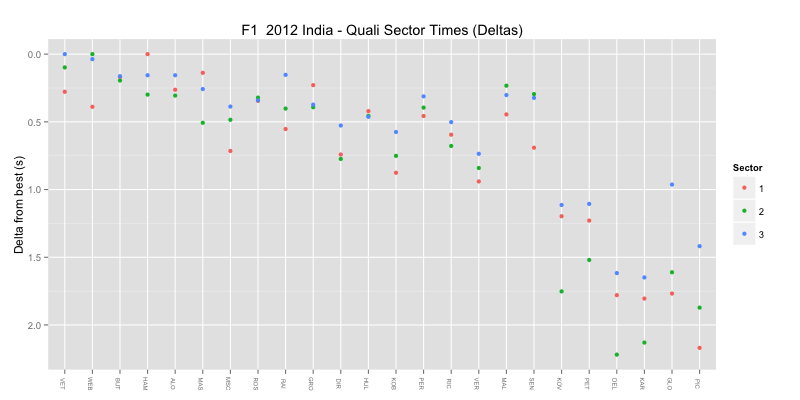 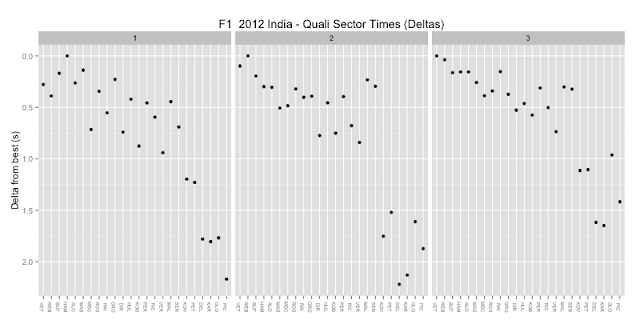 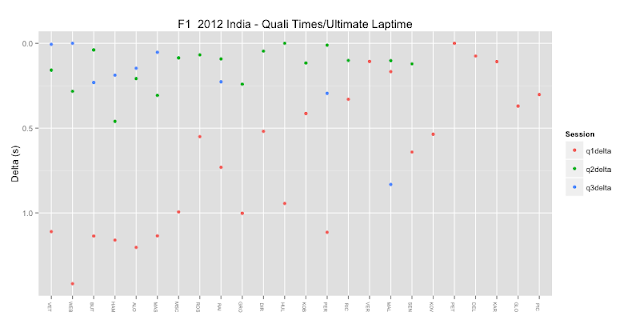 How do qualifying session times compare to the overall qualifying classification? 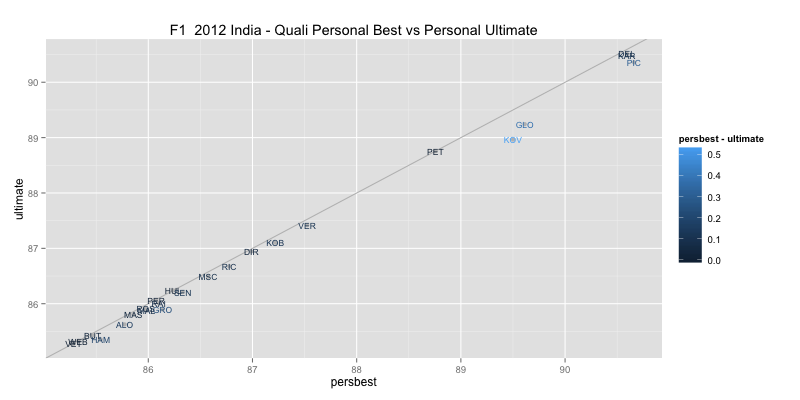 As noted before, did MAL, ROS and GRO miss out? 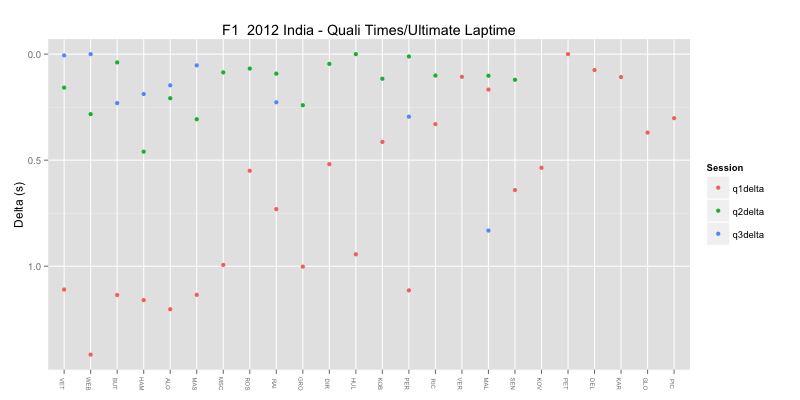 How did the drivers' times in each session compare with their ultimate lap? 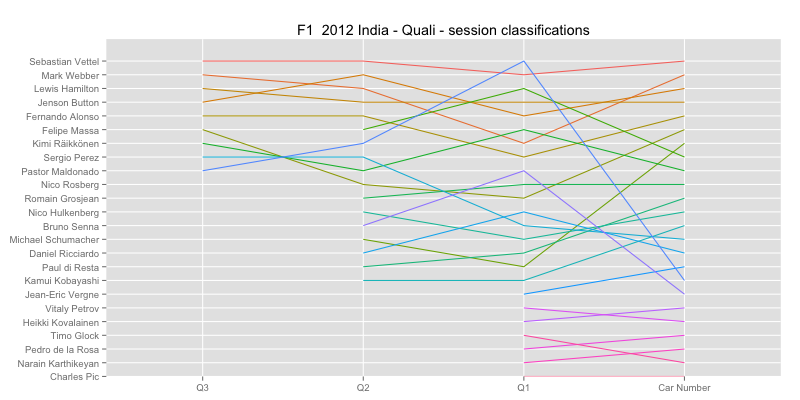 HAM presumably made mistakes in each session compared to his ultimate possible lap? 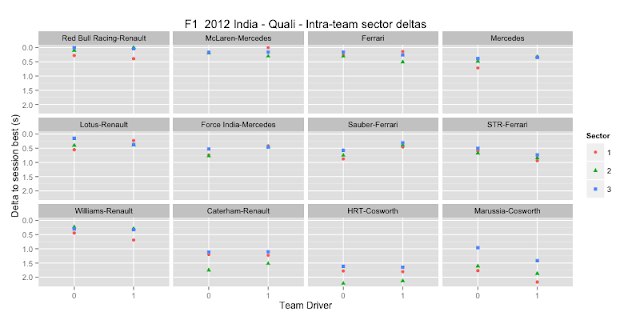 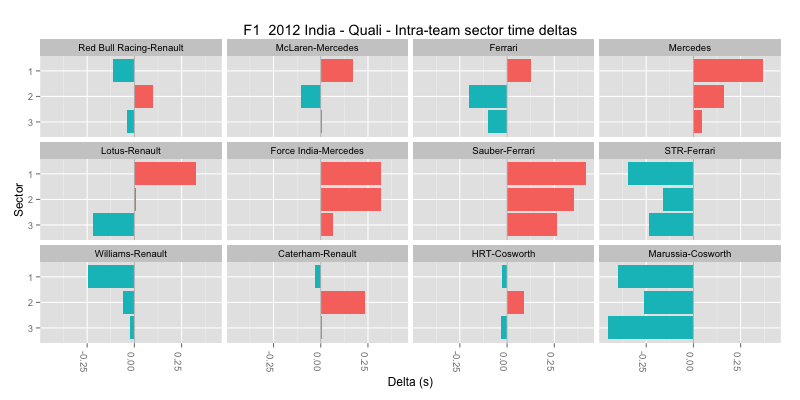 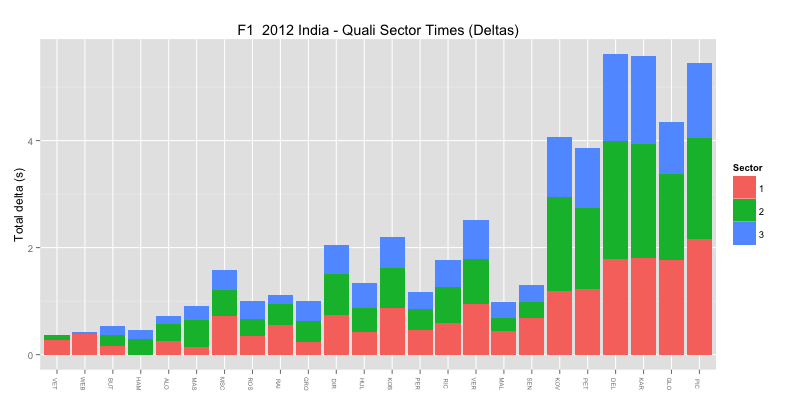 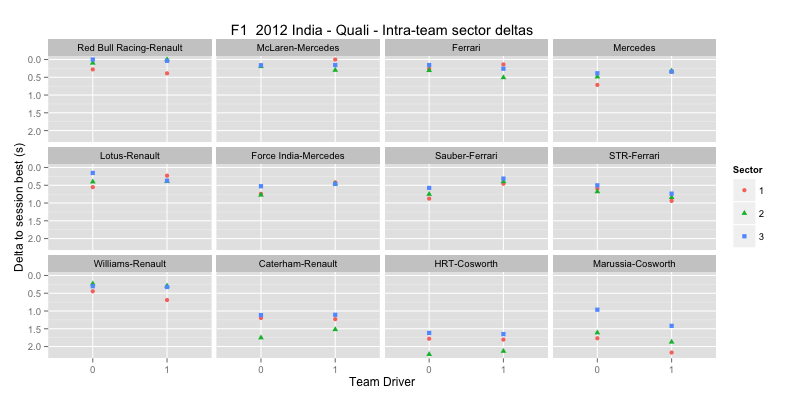 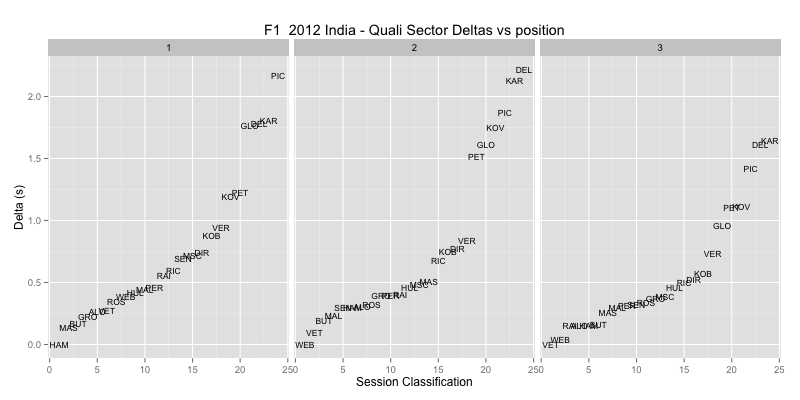 The next chart lets us see how each team fared in terms of sector deltas compared to the best overall sector time, as well as comparing driver performances within each team. If BUT and ALO could both make up one or two tenths per sector, they'd be nailing it? HAM's sector deltas are more dispersed though?